Kayaking is easy and suitable for everyone and it is not overly streneous. Apart from the exercise, you also relax and get away from the hectic schedules. You can relax both your body and mind. Taking a course is a great way to learn a new sport. It is safe to learn all the basics on our kayaking course and it is the best way to start progressing as a kayaker. We learn about safety, planning kayaking trips and paddling techniques to make your kayaking more enjoyable. Our group sizes are small and all our instructors are trained professionals. 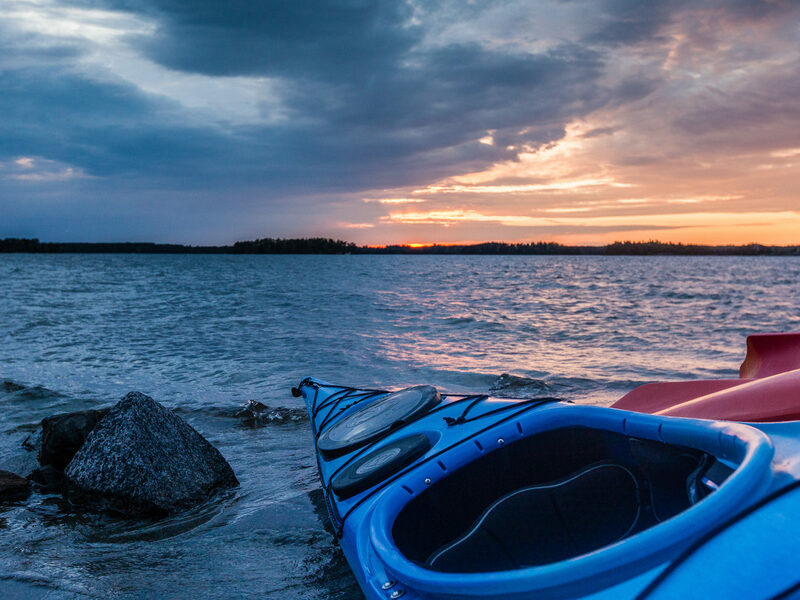 Our course follows the guidelines given by the Finnish Canoeing and Rowing Federation and you will be awarded with a Euro Paddle Pass 1 taking part on the course. The aim is to give you the tools to continue kayaking safely by yourself. The duration of the course is 10 hours and it is mostly on the water. Tuesday, Wednesday and Thursday evenings 18-21.30. This is a beginners course, no previous experience required. The participants must be atleast 16 years. Instruction, kayak, paddle, sprayskirt and PFD. Two hour kayak rental at the paddling center after the course.